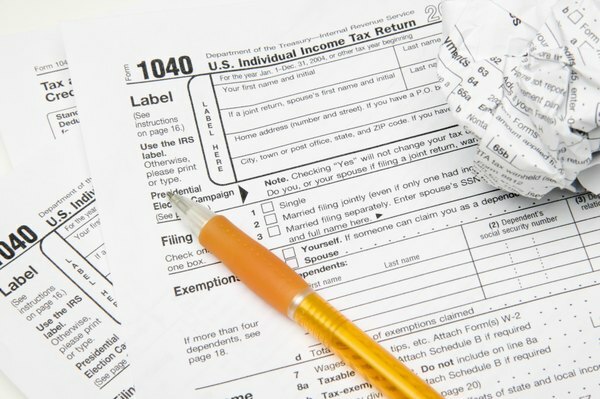 An additional tax penalty may apply for early withdrawals of retirement benefits. 2. What Form Should I Expect if I Cashed Out My 457? Before you tap your retirement account, it's helpful to understand your withdrawal options. Traditional defined-benefit pension plans, for example, are required to offer participants monthly annuity payments. If you're enrolled in a 401(k) or similar defined contribution plan, you may be able to choose between monthly withdrawals or a lump sum annually. In addition to choosing a withdrawal method, you'll need to consider the potential tax implications of your retirement account distributions. A defined-benefit plan is a retirement account that's mostly or totally funded by the employer. When you retire, the plan pays you a specific benefit based on your years of service, age and salary. Your benefits are typically paid out as a series of monthly payments, although some plans may also offer a lump-sum option. Whether you take monthly annuity payments or a lump sum, your benefits are fully taxable unless your employer allowed you to contribute money to the plan. If you were allowed to chip in after-tax dollars, you would not have to pay taxes on the part of your benefits that represents a return of your initial contributions. Defined-contribution plans are retirement accounts that are mostly funded by the employee. Examples of defined-contribution plans include 401(k) plans and 403(b) accounts. Withdrawals from these types of accounts are taxed based on the type of contributions you made, rather than how often you take money out. Generally, these plans allow you to kick in pre-tax dollars, which means your money grows tax-free. You won't have to pay any taxes on your benefits until you start withdrawing them. If you put after-tax dollars into the plan, then you won't have to pay any additional tax on the money when you take it out. If you're not eligible to participate in your employer's plan or you want to supplement your retirement savings, you could also stash away money in an individual retirement account. A traditional IRA lets you make deductible pre-tax contributions, but you'll have to pay taxes on withdrawals. A Roth IRA is set up to receive after-tax contributions, which means your qualified withdrawals are tax-free. Whether you take money from your IRA on a monthly or yearly basis doesn't affect whether or not your withdrawals are taxable. If you're planning on taking a lump sum from an employer's retirement or an IRA, you can defer paying taxes on the money by rolling it over to another retirement account. Keep in mind that you can't roll over any minimum distributions required by the plan. Federal withholding tax applies to rollovers, unless you have the plan administrator transfer money from one account to another directly. The withholding amount is 20 percent for employer-sponsored plans and 10 percent for IRAs. If you're rolling over retirement money yourself, you'll have 60 days to complete the rollover. If you don't, the whole amount becomes a taxable distribution and you'll have to cough up an additional 10 percent early withdrawal penalty if you're under age 59 1/2.